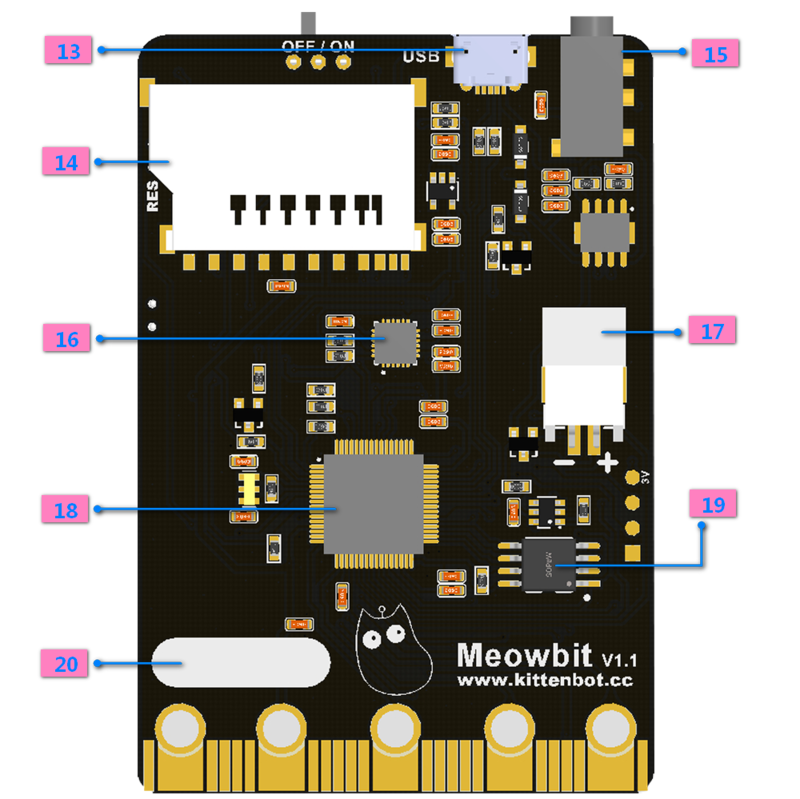 Meowbit is a card-sized graphical retro game computer with allows you coding with Makecode arcade and Python. In other words, it can use combines game programming with hardware devices. 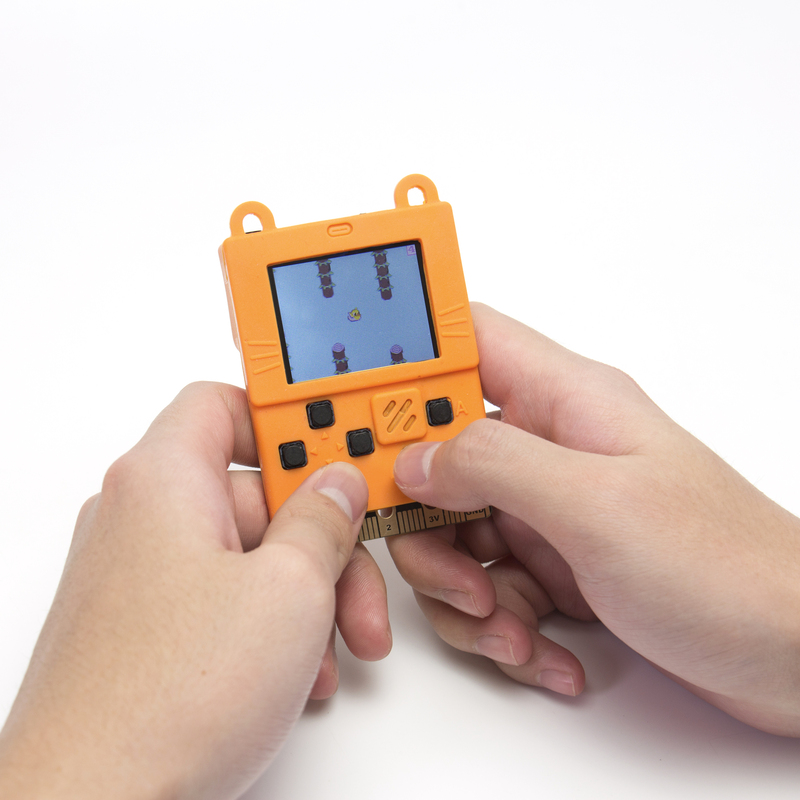 Meowbit is a card-sized grahical programming video game console designed for teenagers. 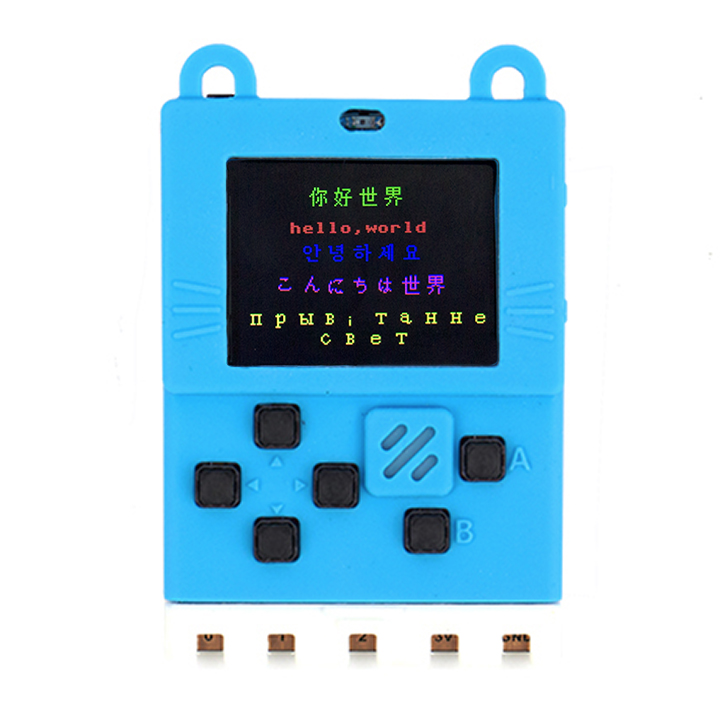 It contains 1.8' full-color screen, 6 x programmable buttons ,1 x buzzer, built-in light sensor , temperatur sensor, SD card slot (For extenal stoage),multyplayer connector and edge connector. 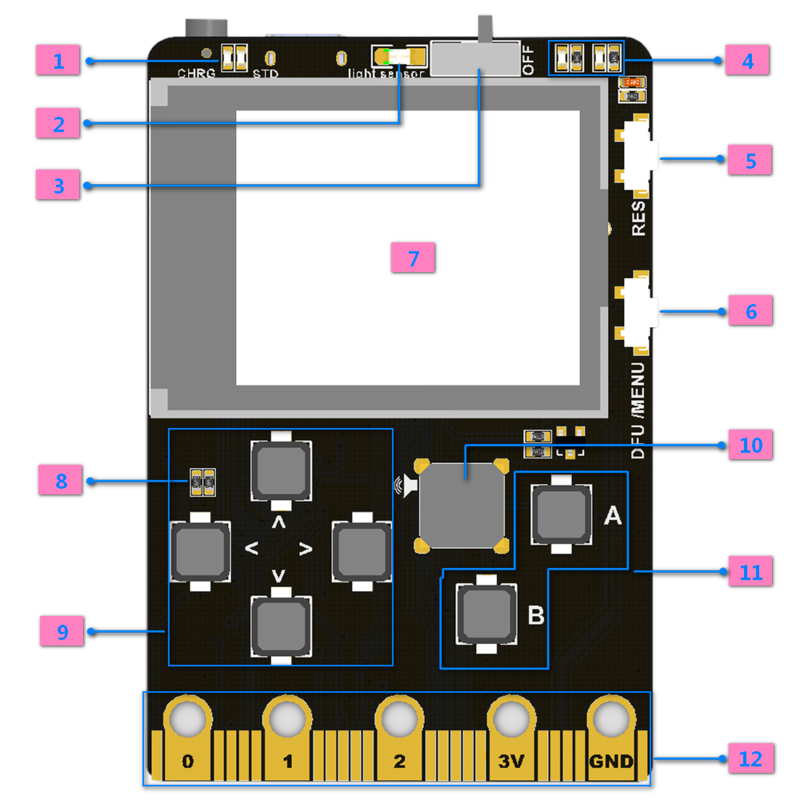 Espcially the edge connector could access most micro:bit expension boards. We recommend to use Robot:bit for Mewobit, it can help you create a robot quickly.